Newcomer Family Obituaries - Carol Ann 'Bubbles' Baldwin 1940 - 2019 - Newcomer Cremations, Funerals & Receptions. Carol Ann (Madden) Baldwin, our beloved Mother, passed away on Friday, April 12, 2019. 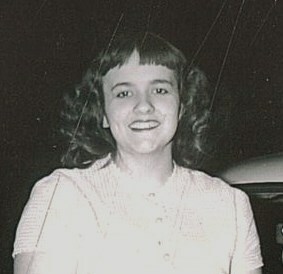 Mom was born on April 15, 1940 to Ralph and Cecelia Madden. Carol married the love of her life, Carl Baldwin on May 18, 1957. Carl and Carol had six children and spent almost 52 years together before Carl passed away on January 9, 2009. Mom devoted her entire life to caring for those she loved. Her smile was radiant, her spirit was strong and her devotion to her family was unwavering. Her beautiful smile and loving embrace will be missed but her incredible spirit will live on. Surviving family includes children, Cecelia (Rick) Fink, Carla (Pat) Reeves, Carl Baldwin Jr., Sarah (Tim) Mast, Jason (Ronna) Baldwin; 13 grandchildren; 3 great-grandchildren; daughters-in-law, Patty Baldwin and Karen Baldwin. Preceded in death by husband, Carl; son, Matthew; grandson, Kyle Reeves and son-in-law, Frank Shore. Visitation will be held Wednesday, April 17, 2019 from 10AM - 12PM at Newcomer Grove City, 3393 Broadway. Graveside funeral service will follow at 1:30PM at Hope Town Cemetery, Chillicothe, OH. In lieu of flowers, memorial donations may be made in Carol's name to St. Jude Children's Research Hospital by visiting www.stjude.org/donate/donate-to-st-jude.html. Add your memories to the guest book of Carol Baldwin. I will always remember you. Always good spirits and happy. Thanks for all you did for us when we were kids. You told us bedtime stories, chewed bread with peanutbutter and made us balls to eat, you were a great big sis. You know how much you are loved. Hate to have to be without you. Although I've only been a part of the family for a short period of time, I was fortunate enough to spend a little time with Carol. What a beautiful lady, inside and out. I would sit with her in Carla and Pats living room watching Walker Texas Ranger, and just chatting about her family. She would tell me everything that would happen in every episode of Ranger. Now, as Sarah and I watch movies or sitcoms from the past, and I catch myself doing the same to Sarah as Carol did with Ranger, I just stop and smile. Same with me feeding the dogs, and then shooing them away. Sarah will say, okay Carol. I would sit in the living room eating with her, and she would feed Bo. Then out of nowhere, she would pick up the rolled up magazine, and say, "Bo, NO". Then 5 minutes later be tossing food over her tray to him. Or her screeching whenever the cats would touch her feet, or legs. It just made me smile. So beautiful, and yet so animated. But the comfort in knowing you are reunited with Carl, Matt, Kyle, Frank, and those no longer with us, and no longer in pain warms my heart. We miss and love you so very much. There are so many great memories I have of Carol. Once her husband's (Carl) health started failing when he was no longer able to take care of her alone, he asked if Matt and I were able to move in to help since we were the only ones in the family who didn't have kids yet. That's when the bond started. When I gave birth to my triplets, she told me everything will be ok and it was. She helped me the best way she could and the kids loved her so much. When I was scared with my breast cancer, she told me everything will be ok, and it was. When we lost Matt as we were both hurting, through our tears she told me everything will be alright and as painful as it is, she's right. I know she's reunited with loved ones and not in anymore pain while her words flow in my mind saying "everything's going to be alright". I also remember seeing her, maybe a month or so before she passed, in her hospital room. Me, my brothers and my mom walked into her room and her face lit up with that beautiful smile of hers. She said hi and smiled, even while she was hurting and in a hospital room, she still had a smile showing through. She never complained which was one of the MANY things I loved and will always cherish about her. She lived with my family practically my whole life until she had to move up to Columbus with my Aunt and Uncle - who took great care of her. I talked memories with her about my Dad, the (scary) movies we used to watch, the infamous pies she used to make, the jokes we shared... after everything that happened, she tried her best to be ok, to keep a smile so I wouldn’t worry, so me and my family would stay happy. I was crying last night because I missed her... I prayed and asked for a sign so I would just know my grandma (and Dad) were watching over me. I lost a couple of items yesterday and couldn’t find it. They’re small but you’d notice it if they were around you. I was pacing my room last night due to nerves and I dropped my glasses on the floor yesterday so I had to search all over my floor for them. After crying continuously for a couple of hours last night, I woke up with a headache and swollen eyes. I dropped an earring and found both of the items on my floor, in the middle of the room (there was no way I would’ve missed them last night and the day before). I know my grandma and Dad will be watching over all of us and those who miss her. She may have left this Earth but she will never leave our hearts, minds and she’ll always be close to our sides. Love you so much grandma, miss you. Rest In Peace and Watch over all of us. To Carla (and the rest of the family): My deepest condolences to all of you. Carla, you know that my thoughts have been with you always in spirit even though I haven't been around in a while personally. My thoughts and prayers to you and your family and big hugs to you. Condolences to Carla and the entire family on your earthly loss. I work with Carol's daughter Carla which also is a strong spirit which no doubt she got from her loving mother. My thoughts are with you all in celebrating the life that she lived...the love that she gave and now being with the love of her life once again, what a lovely reunion that must be. Peace, love and light! I was so blessed to share the last 2 1/2 years with Mom. Her body was fragile but her spirit, mind and love was strong. She loved her family like no one I've ever met. Her entire family; siblings, parents, nieces, nephews, kids, grandkids and great grandchildren. This is what always kept her going. Mom was happiest when surrounded by her family. She came to live with me when I needed her the most and I thank God for every moment that I had with her. She showed me how strong she truly was and to live each day to the fullest with what God gives you in life - no matter what. She lost her ability to walk 27 years ago but never complained about it or anything else. She simply loved to laugh and reminisce. Mom knew that there was a life after this one. Every night when I helped her to bed, her last thoughts were of Dad and Matt and that they were together watching over her. She missed everyone who went before her and spoke of them often, especially Dad, Matt, Grandma, Aunt Sharon, Aunt Jean, Uncle David, Aunt Betty. She had so many happy memories about them all. I loved hearing her childhood stories about the shenanigans her and Uncle Jimmy would do. She blamed Jimmy and Uncle Jimmy said Mom was older so she was the ringleader. She loved when Aunt Sonnie & Terry, Aunt Janie & Tom, Uncle Jimmy, Uncle David, Uncle Cliff & Peg came to see her. If she knew in advance, that is all I would hear about and what to buy and make (she knew everyone's favorites). That is how she showed her love - baking and cooking and watching you enjoy it. I did my best, but no one can cook and bake like my Mom. I was given the greatest gift. The gift of being with my Mom. We talked, we watched movies (Elvis, National Lampoon's vacation, Friday, Walker-Texas Ranger and scary movies - all of these her favorites), we laughed, we sang, we polished our nails, shaved our beards and we put old lady cream (for arthritis) on together. She shared her wisdom and her stories. She forgave me for my bad moods. She was proud of me when I got A's in college and she encouraged me every step of the way. There is no love greater than that given by our Mother. Her love was unconditional, her love was pure and her love is undying. I will hold it in my heart until I am with her again. My deepest sympathy to the family. I will always remember all the good times we all had together growing up. Aunt Carol was always one of my favorites. I’m so sorry for her passing. My sincere condolences. I always remember her smiling and her hearty laugh. You are all in my heart. As a child I was very close to my aunt Carol...have many goid memories. Loved her very much and will greatly miss her.